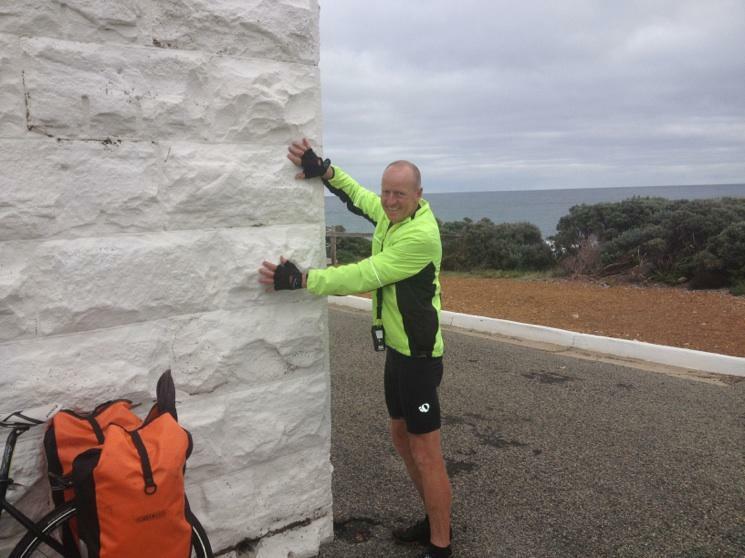 Touching the lighthouse in Leeuwin, WA. 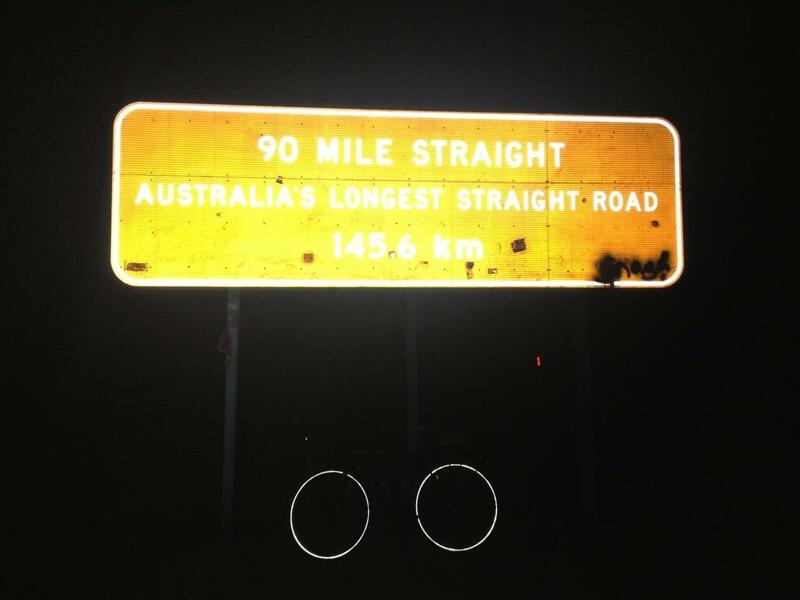 Well, Bryan left Melbourne on his cycle around Australia (a massive 16 000 km trip) on 1st May and now just over 2 months later he’s almost to South Australia! 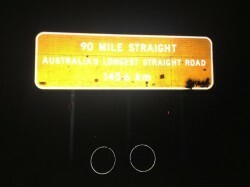 He reached Norseman the night before last – the start of the longest straight road in Australia. He’s been absolutely flying around the country!